Caption slip reads: "Photographer: Snow. Date: 1958-12-31. Reporter: Waymire. Assignment: Forsling interview. 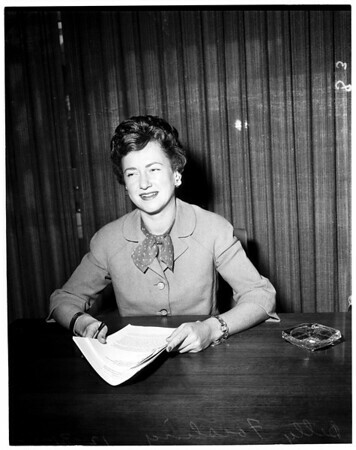 3/4/101/102: Miss Betty Forsling, assistant manager and director of housing for the 1960 Democratic National Convention".